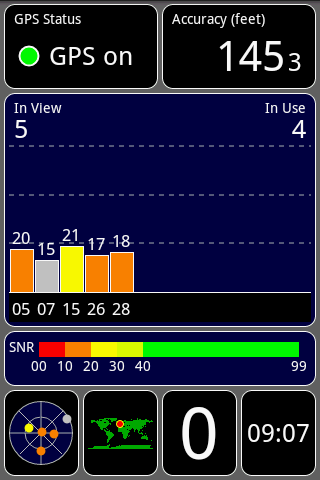 The GPS Test app for Android is a utility that shows GPS information read from your phones internal GPS. Will support GLONASS phones. 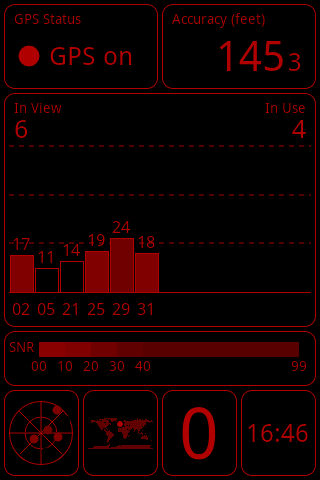 The app has several colour schemes, which could be used to match other instrumentation, used along side the app. It has a "night mode" colour scheme as well. 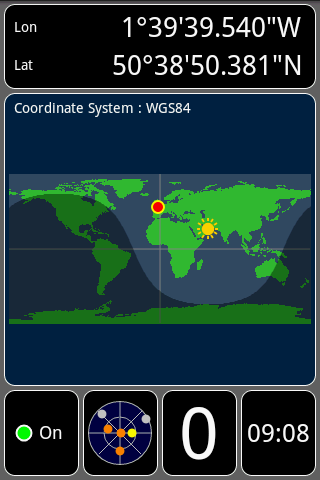 If you like this app, please like GPS Test on Facebook: - http://www.facebook.com/gpstest GPS Test has five screens full of information: - 1) GPS signal (SNR) bar chart, showing the signal strength for each satellite, as well as the accuracy and status of the GPS. 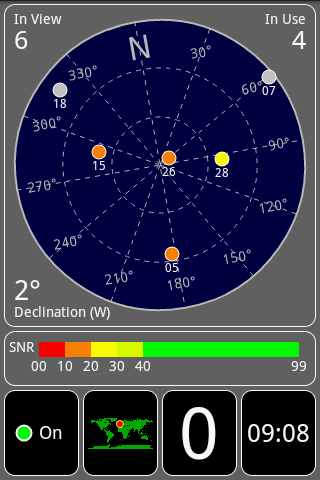 2) Satellite positions in the sky (skyview), shown on a rotating compass. 3) Your current location on the earth shown as text and on a world map. The current position of the sun and the day/night transition curve is also shown. 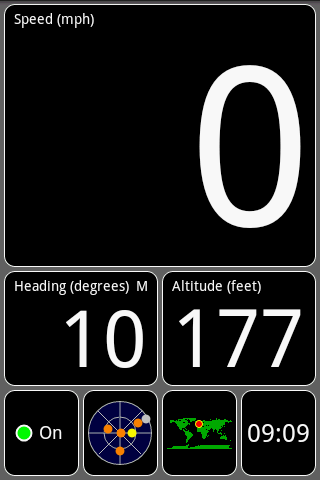 4) Your current speed, heading and altitude shown as text. 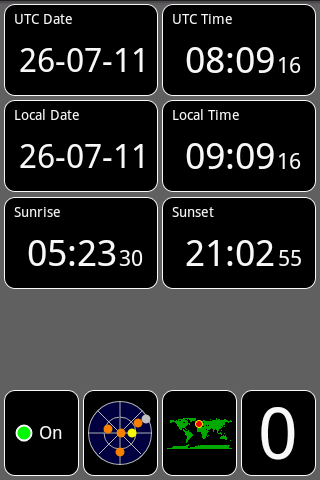 5) The current time read from the GPS and the local time in your current timezone, as well as the sunrise and sunset times at your location.